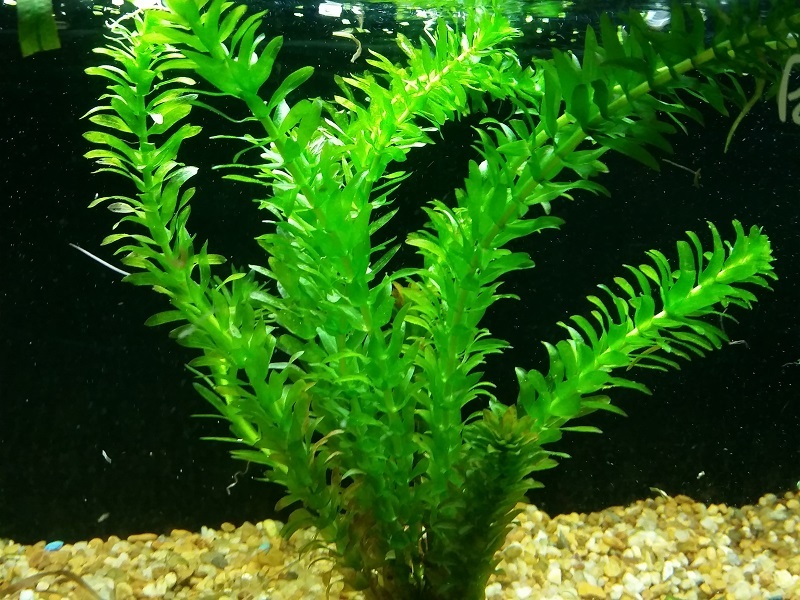 The Anacharis plant is one of the most popular plants for oxygenating ponds due to their ability to thrive in various regions and its low maintenance. The anacharis can be planted at the bottom of the pond or left floating as it doesn’t really require roots to thrive. The ideal ratio of anacharis plants for a pond is one bunch (6-8 stems) per 10 gallons of water for water gardens under 5000 gallons. If the pond is bigger, the aim should be one bunch for every 20 gallons. Here is a video showing anacharis in a pond.